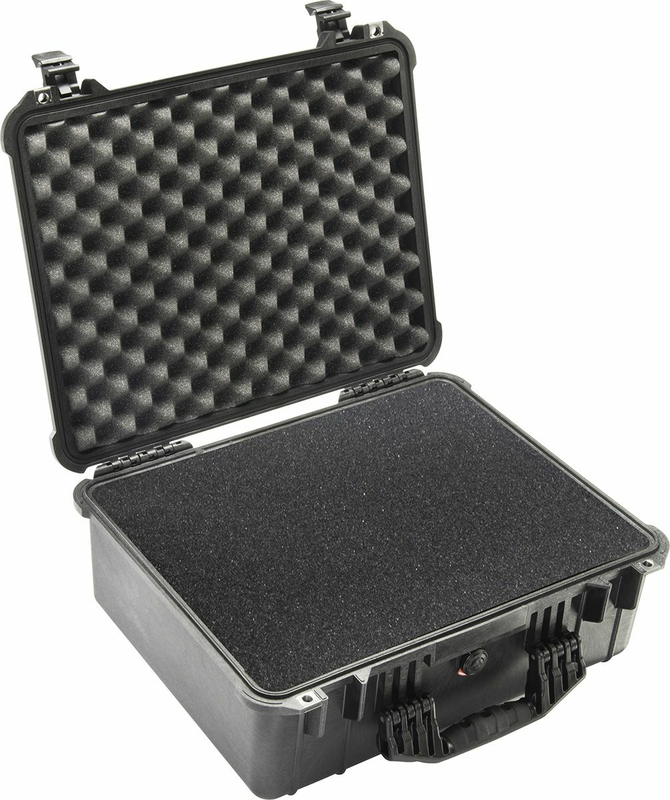 "This 1550 BLACK CASE comes with Pelican®'s unique Pick 鮮 Pluck™ foam. This foam is pre-cut which allows you to customize the interior by half inch cubes. Trace out the item you want in the case and simply pluck the foam out by hand, no tool required. You can customize your case in less than 15 minutes. Unbreakable, watertight, airtight, dustproof, chemical resistant and corrosion proof. It is made of Ultra High Impact structural copolymer that makes it extremely strong and durable. Its exclusive 1/4"" (6.4 mm) neoprene o-ring and ABS latches seal perfectly and includes an automatic purge valve for quick equalization after changes in atmospheric pressure. 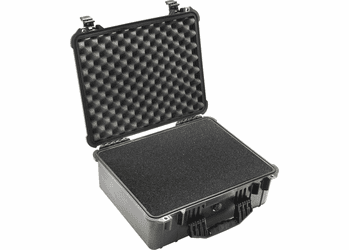 Your equipment can fit into the high density foam for total subjection and protection against impact, vibration or shock.